Japan Prime Minister Shinzo Abe met President-elect Donald Trump on Thursday and said afterward that the conversation was cordial and built confidence — without which the nations' alliance would not function. "As an outcome of today’s discussion, I am convinced that Mr. Trump is a leader with whom I can have great confidence in," Abe said. It was the first meeting Trump has had with a foreign leader since the Nov. 8 presidential election. 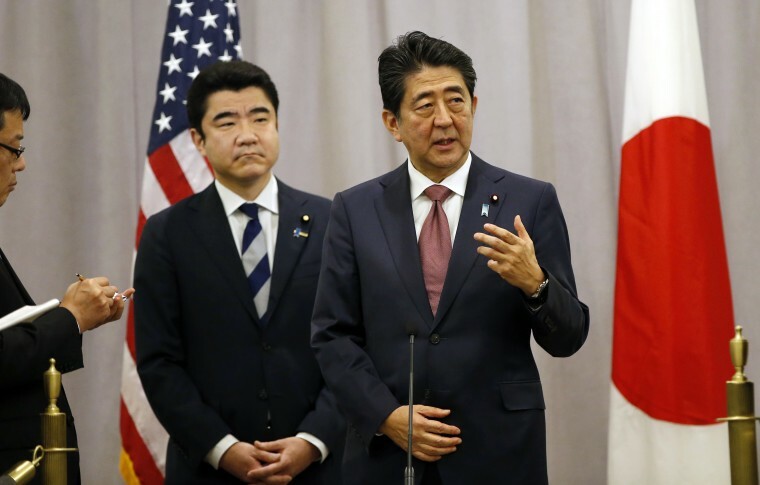 Abe did not elaborate on the subject of the conversation, citing the fact that the president-elect had not assumed office and that the discussion was unofficial. The prime minister did say he shared his basic views on a number of issues, but he highlighted his ability to work with the real estate mogul. This sentiment came despite Trump's campaign promises to dismiss the Trans-Pacific Partnership trade deal. "As the outcome of today’s meeting and discussion, I’ve renewed my conviction that together with Mr. Trump I’ll be able to establish a relationship of trust," Abe said.